What Is a Crawfish Boil? A good old-fashioned Southern crawfish boil involves cooking pounds and pounds of red shellfish. Known for their tender and flavorful meat, the copious amounts of shellfish are boiled with a sea of spices and fresh vegetables. Cooks typically recommend four to five pounds of crawfish ― also known as crayfish, mudbugs, and crawdads ― per person in attendance, ensuring the full Cajun experience. 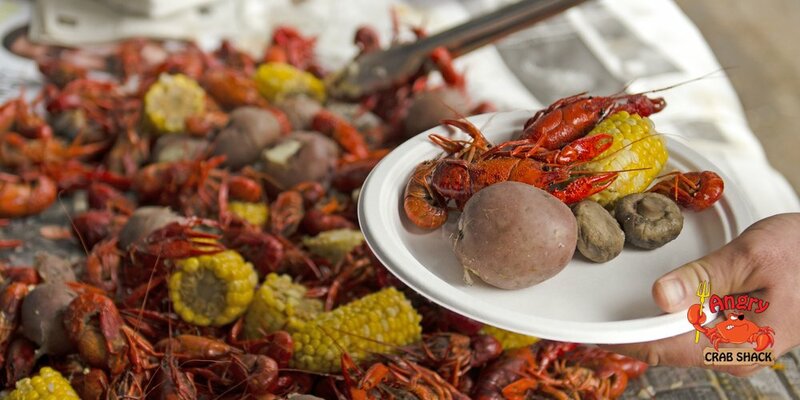 What Is the History of the Cajun Seafood Boil? Crawfish has been a part of the American culture since the age of the Native Americans. Around 1775, Acadians from Canada―later known as Cajuns, arrived in Louisiana after being exiled from Nova Scotia. As the legend goes, the Nova Scotia lobsters missed their people so much that they followed them overseas. By the time the creatures finished the treacherous journey, they had shrunk into what is now known as crawfish. The people of Louisiana welcomed the tiny lobsters with a festival upon their arrival and decided to name them crawfish. How Do You Boil a Crawfish? In the Southern part of Louisiana, crawfish season starts in February, around Mardi Gras time, and runs on into June. During these five months, crawfish boil parties break out all over as family, friends, and communities gather for fellowship and good food. While most people now get their crawfish from commercial sources, a fair number of Cajuns still capture their own. No matter your method, once there is enough shellfish for the guests you’re expecting, you’re ready to start the cooking for your Cajun seafood boil. Set a large pot of water to boil over a heat source. Often a propane heater is used so that the cooking can be done outdoors. While you’re waiting for the water to heat up, rinse your mudbugs, running them under cool water. Once the crawfish are clean, and the water is boiling, add your preferred mix of seasonings to the pot. If the water is rolling at a good pace, you will not have to stir as the water will mix them itself. You can find hundreds of recipes online to please your guests, varying from super hot and spicy, to relatively mild. Finally, it’s time for the crawfish to be added in. As they take only a few minutes to cook, the boiling process won’t take long. Therefore, be ready to take them out and mix them with the vegetables. Cover the serving tables with newspaper. Tradition dictates that the crawfish and vegetables are dumped out onto the paper on the tables, and folks gather round and eat as they please with cornbread often served as a side to the main course. What If I Don’t Want to Cook My Own Crawfish? To receive promotions and up to date events, simply enter your email and you will be put into our Angry Crab Newsletter.